Invite your customers to sit and stay a while with long lasting, strong and stylish Nextrend café furniture. Cafés, coffee shops and bars – no matter what style of casual dining and entertaining, the décor and ambience can mean as much as your menu! Choose your café furniture wisely and turn to Nextrend for bold designs, high quality and amazing functionality. Our extensive selection of café furniture provides all the choices you’ll need to attract your dream crowd. Large and small tables, comfortable chairs, practical stools, indoor or outdoor – whether it’s families, professionals or a creative crowd you want in your café or bar we have the design solution to match. 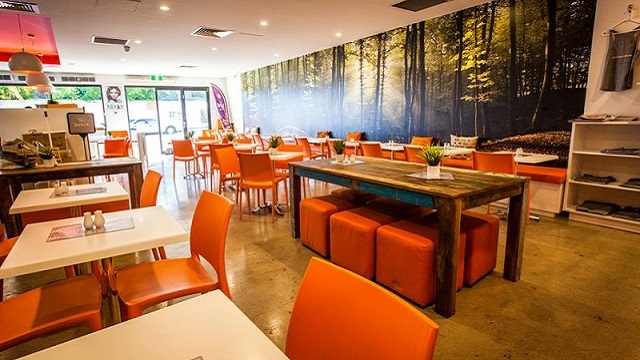 All over Australia, our happy customers tell us they love our huge selection of café furniture that’s built to withstand heavy, constant use. There’s no other supplier that has the same stylish, low maintenance and high quality commercial furniture!